California employers have a lot on their to-do lists for 2018. New regulations from Jerry Brown mean more work concerning hiring practices, wages, employee administration, and more. A large corporation will likely have an entire HR department and legal team to help navigate all of the changes in employment law, but a smaller business runs the risk of accidentally violating laws, often resulting in costly fees and possible litigation. However, employers can take advantage of the benefits of HR Outsourcing to help navigate the ever-changing world of California employment law and regulations, and help keep them in compliance. California is in the midst of an ongoing wage hike, eventually reaching a $15 per hour state minimum wage by the year 2022. However, the regulations differ depending on the size of the company, and certain municipalities are operating on their own wage hike schedule. If an employer has multiple worksites in cities with different wage requirements, they have to be careful to pay employees the correct wage for the municipality the work was performed in. For example, Los Angeles has its own ordinances set forth for minimum wage requirements, so if an employee’s worksite is in Orange County, but they travel to a worksite in Los Angeles for any amount of time, the employer would need to pay the employee the minimum wage rate for Los Angeles for those hours, as well as deduct the correct city taxes from payroll. Your HR Consultant can help ensure your business stays compliant with the differing payroll regulations throughout the entire state of California. A nationwide survey of businesses conducted in 2016 found that just over a third of employers didn’t know what ACA information was required to be reported to the IRS, and less than 50 percent of those respondents were confident in their ability to satisfy ACA reporting requirements. Even now in 2018, there are still employers who admit to being clueless on what is required. Although the status of the ACA has been threatened a few times throughout the past year, the Affordable Care Act has remained in place and so have the requirements for compliance - as well as the penalties for non-compliance. Employers who are unsure what the requirements are can turn to an HR Outsourcing provider that has experts in ACA compliance ready to help. As penalties increase each year, and the IRS swiftly catches up on enforcement, it’s more important than ever to be confident in your ACA compliance. Two new laws went into effect on January 1st, 2018 that will affect hiring practices. Under the Ban-the-Box Law, eligible employers can no longer request that applicants disclose information their criminal convictions history through the application or interview process, until a conditional offer of employment has been made. Employers may also not seek salary history information about an applicant for employment in any way, whether orally or in writing, personally or through an agent or associate, thanks the new law, AB 168. 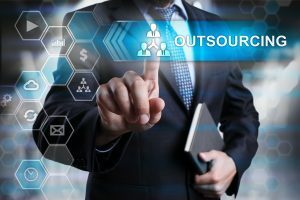 HR Outsourcing can help streamline the hiring process and ensure these new regulations aren’t unintentionally violated. Post a notice to all current employees informing them of any federal immigration agency’s inspections of Forms I-9 or other employment records within 72 hours of receiving Notice of Inspection. (The notice must contain specific information about the inspection and be posted in the language normally used to communicate employment-related information and must also be given to the collective bargaining representative, if any.) Employers must comply with this posting requirement beginning January 1, 2018, even though the Labor Commissioner has until July 1, 2018, to create a model posting template. Provide a copy of the federal Notice of Inspection to an affected employee upon reasonable request. Give each affected employee and the employee’s collective bargaining representative a copy of the inspection results with specific information included, and a written notice of the employer’s and employee’s obligations arising from the inspection within 72 hours of receiving the results. Your HR Consultant can help you navigate the Immigrant Worker Protection Law and help keep you compliant with Form I-9 requirements. Effective January 1st, 2018, the California New Parent Leave Act for Small Employers (SB 63) extends employee parental leave protections to employers with 20 or more workers. (The previous parental leave law only applied to employers with 50 or more workers.) The tricky part about SB 63 is that it also impacts worksites with fewer than 20 employees, because multiple locations in a 75-mile radius owned by the same employer are combined to determine the total employee threshold. Employers managing multiple worksites can use HR Outsourcing to ensure compliance with regulations such as this one. As California HR regulations continue to change, HR Outsourcing is your best resource for staying on top of all areas of HR Compliance.